Back in the hall of heads...but this week I have some help from Frieda Fox. Oh my goodness, I love Forest Fairy's toes! How cute! The coiling bead work vine is pretty, too. Those deep blue eyes on the dark fae are really striking, what a lovely colour combination. I'm hoping to catch up with my Christmas dolls but my biggest excitement was selling my first doll on Etsy! 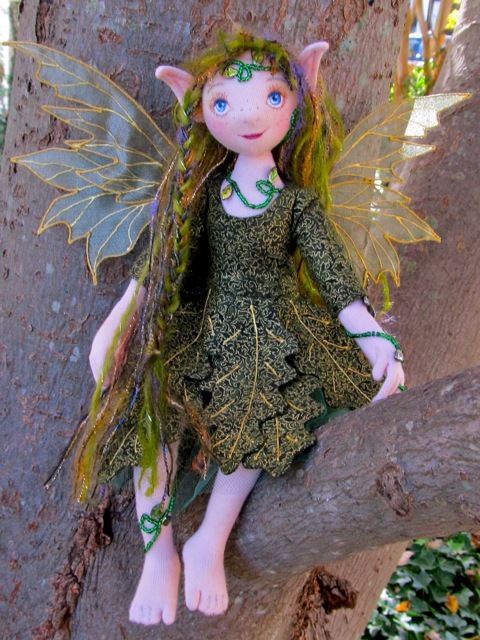 I love the Forest Fairy doll and I liked the way you worked that plant in beads, idea is simple but very witty! 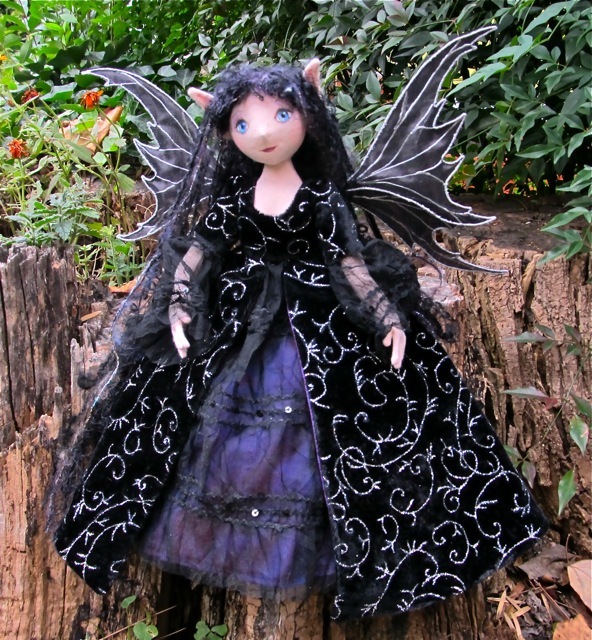 i like dark Faery as well, she looks very Gothic in her black attire. Absolutely gorgeous:) I love their dresses...so pretty. You asked to know what we have been working on lately - well I am working on nothing that is anywhere close to being this magical and beautiful. 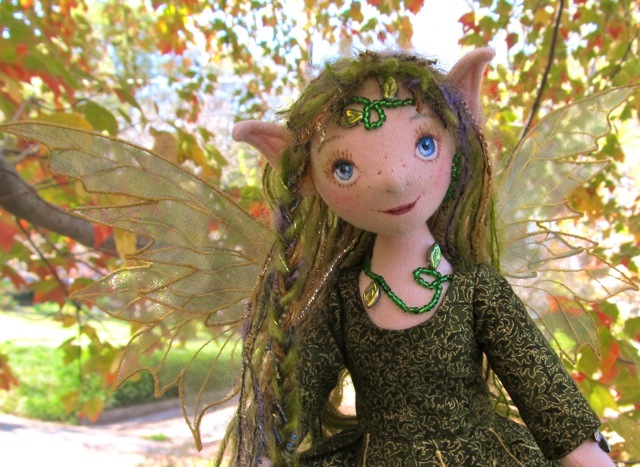 I am loving my own fairy so much. 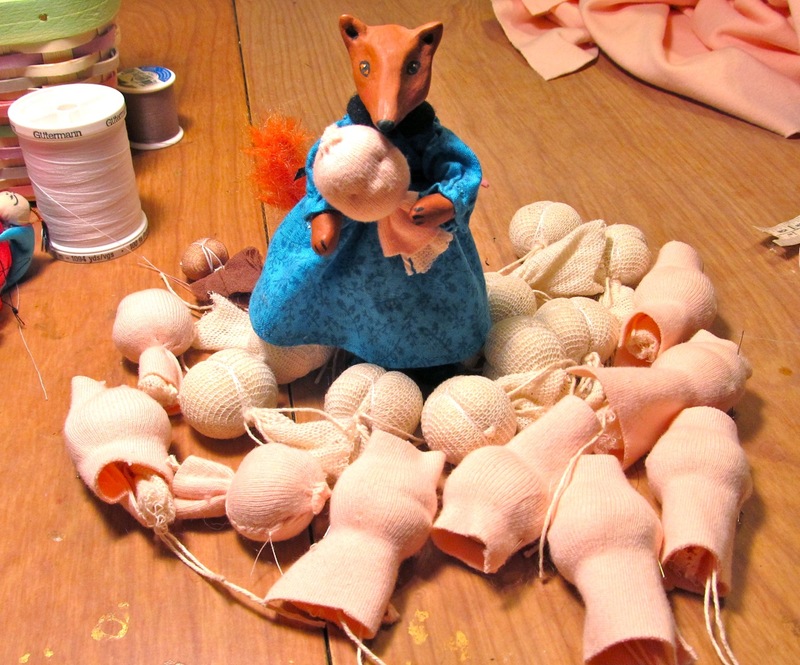 You are a master doll maker - a masterful magician.